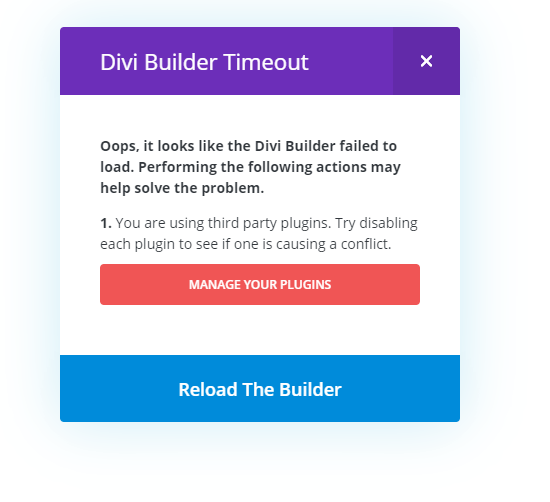 In this article, we are going to discuss the Divi Builder Time Out Error. Please read the full blog post for resolving the issues. Firstly, please check that we are using an updated version of the theme or not. We can also try deactivating all the plugins and see if it fixes the issue. If it gets fixed, then we can try activating the plugins one by one and keep checking the issue after the each plugin activation, this will help us in identify which particular plugin is clashing. If the issue still not resolve then we can try switching to parent theme momentarily to confirm nothing in the child theme is creating trouble. 5. We can also ask hosting provider to set PHP directives as per the given standard on the server. 6. If the problem still persists then we need to add the given code below to our .htaccess file which we generally found in the root directory where “WordPress” installed. We can access these file using file manager of our hosting Cpanel or by logging into our site using FTP client like FileZilla. 7. We can also try to confirm that we had placed the right URL in the general settings of our “WordPress” dashboard or not. Because when we are using SSL on our site then we need to use https:// instead of http:// as we have mentioned in the below image. 8. It may be possible that due to CORS problem resources are blocked. To confirm this please open the website in any of the browsers and then press Ctrl+Shift+J, then browser console open and here if we are getting an error message as “Failed to Load Resources”, then we need to inform our hosting provider for resolving the issue. upgrading the PHP version to 7.70 solved the problem. It looks like the latest versions of Divi (currently 3.0.89) are kicking up some new builder timeout errors. The solution this time round seems to be to upgrade to PHP 7. I spent hours trying to fix the Divi Builder timout error, reading through various solution proposals on the web. Your tutorial was the only one helping to fix it. I modied the .htaccess file with the lines of code suggested above and it worked, great! Awesome !! I followed all the steps and things worked out. I did not deactivate a single plugin. Thank you so much ! !